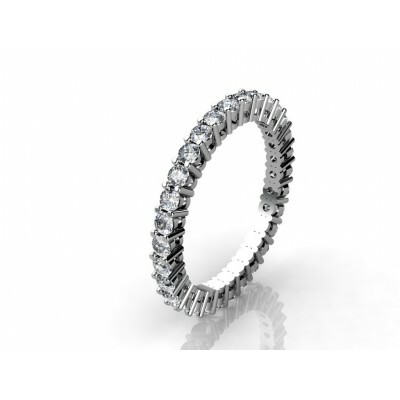 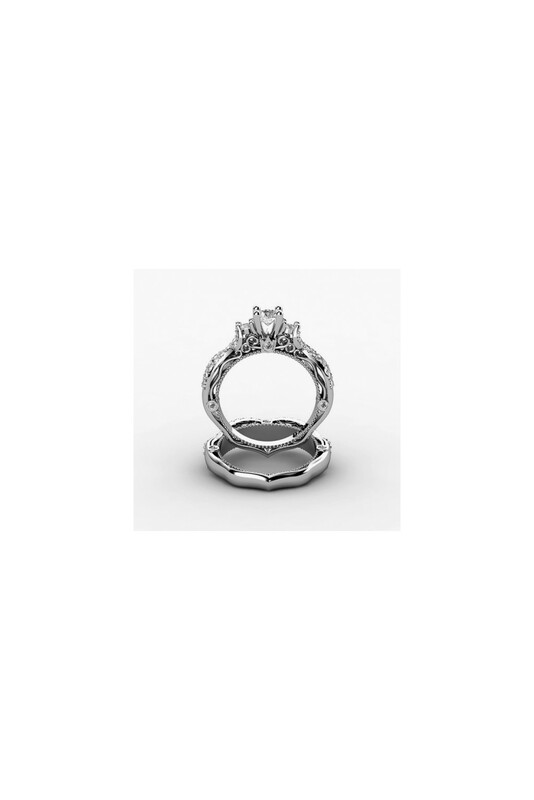 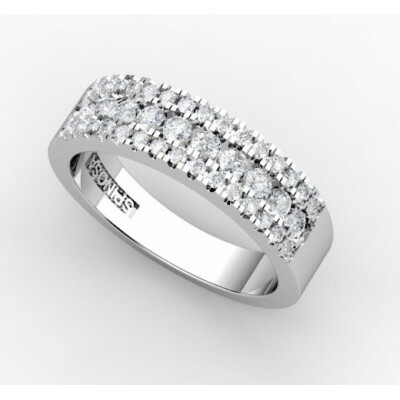 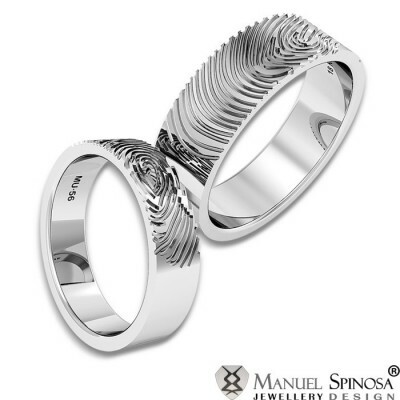 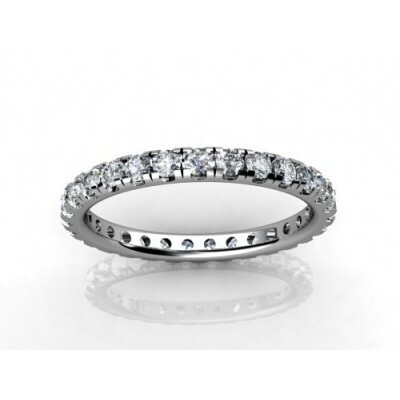 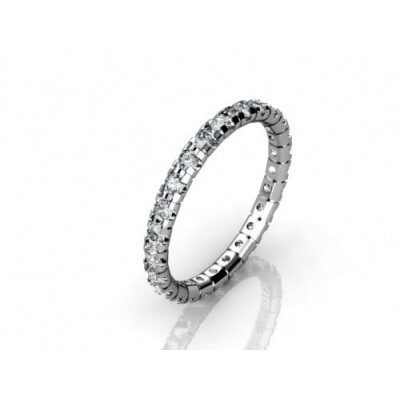 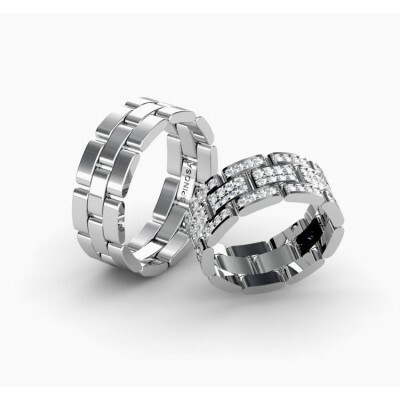 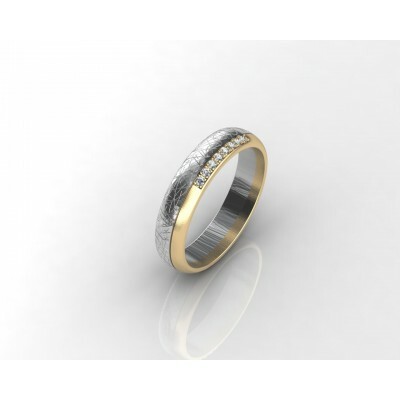 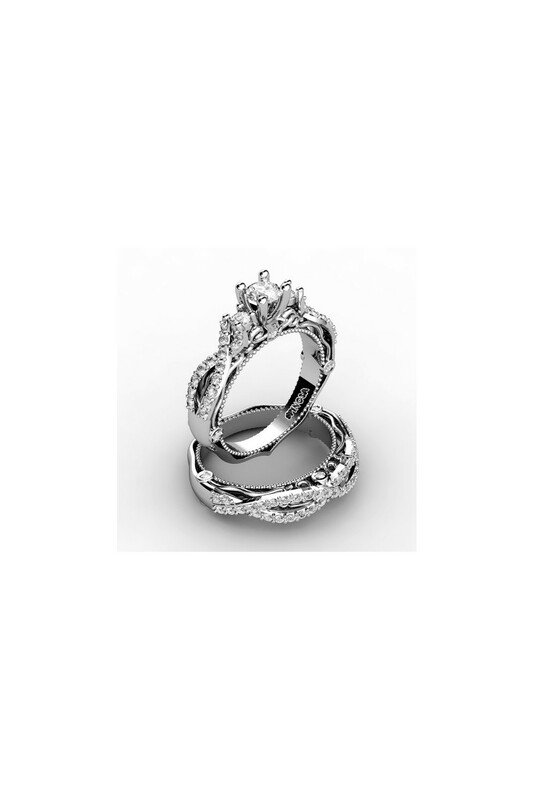 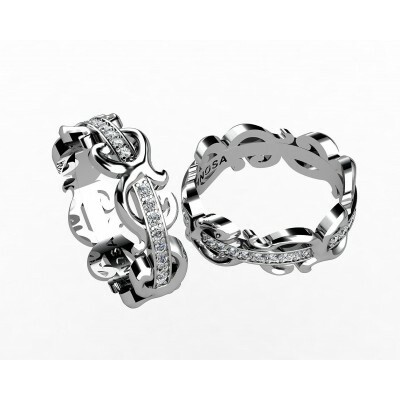 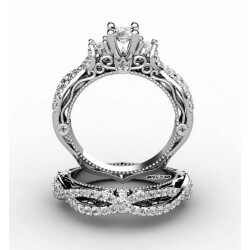 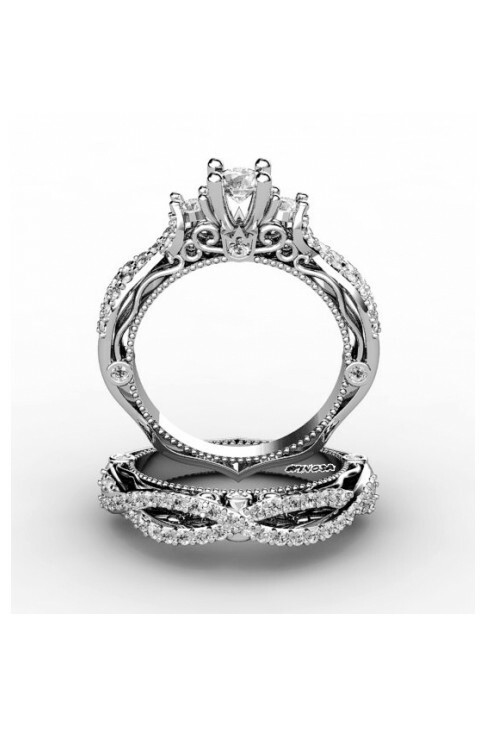 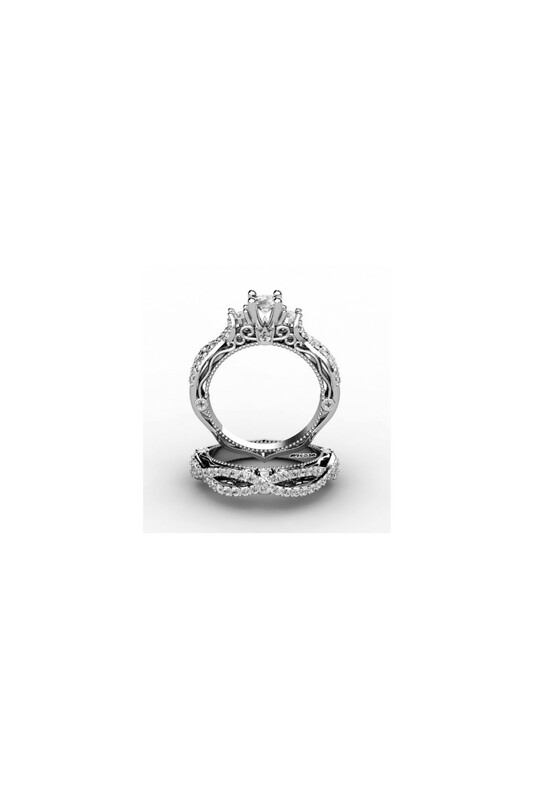 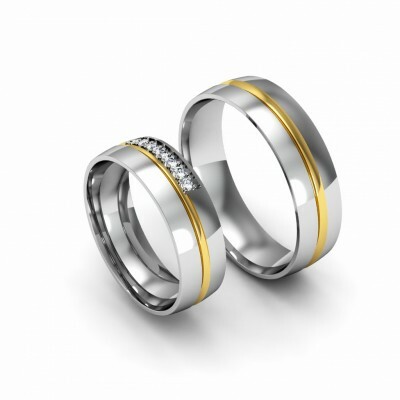 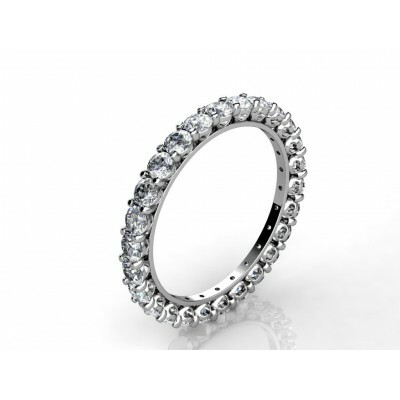 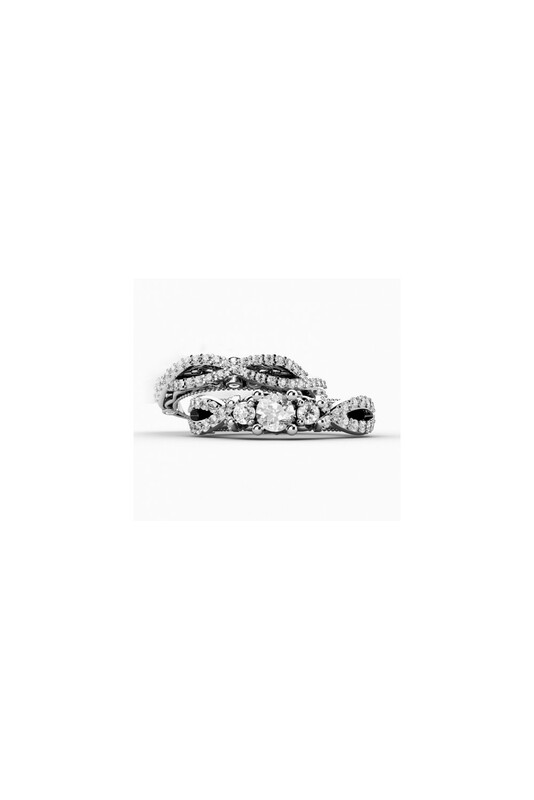 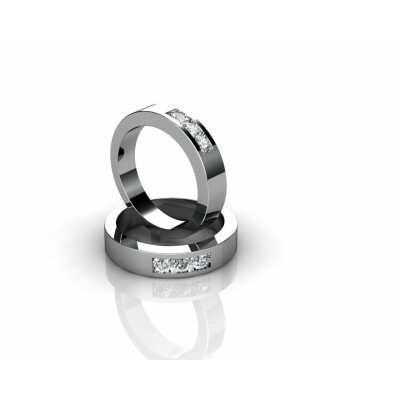 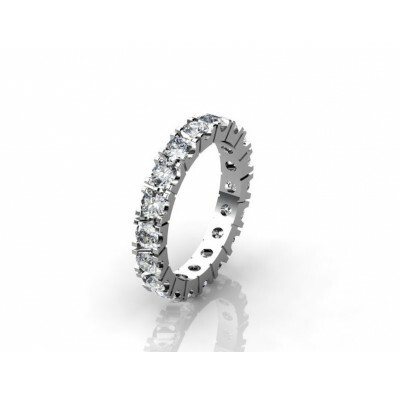 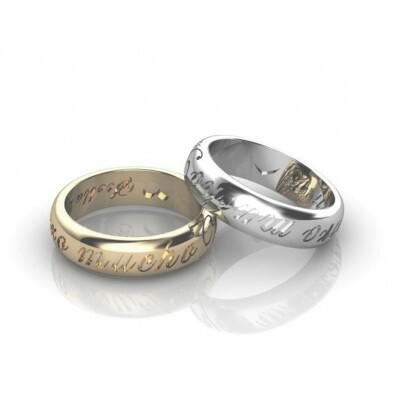 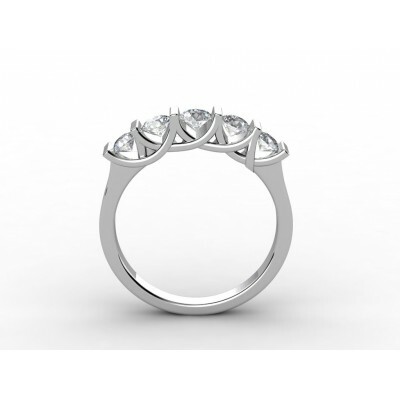 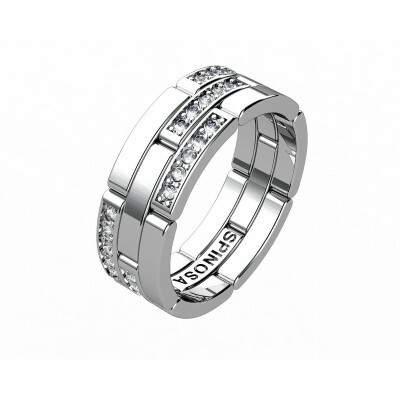 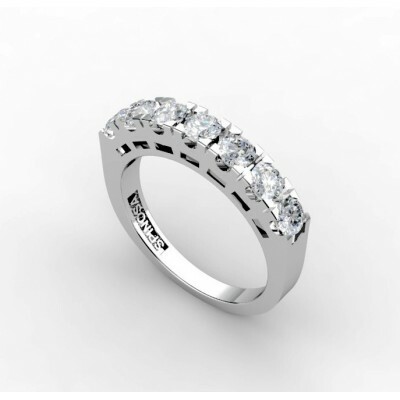 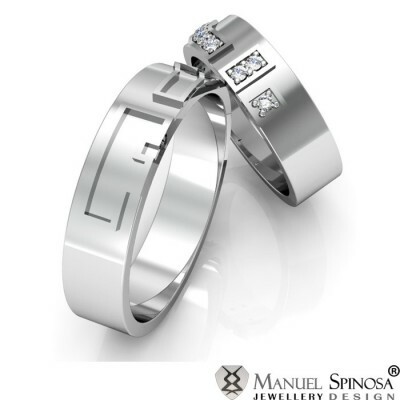 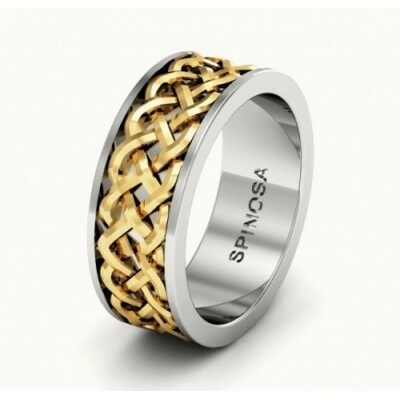 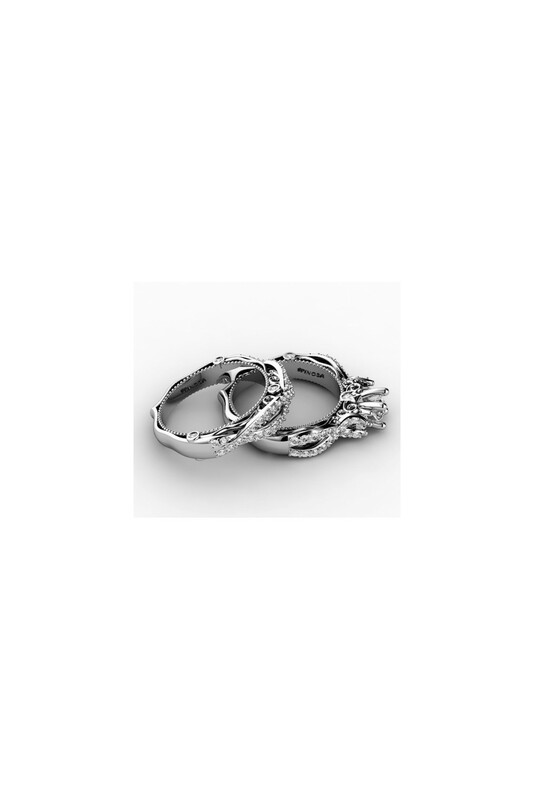 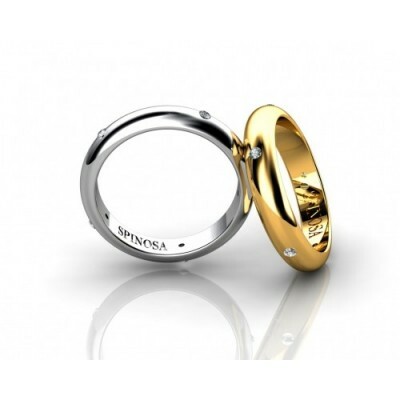 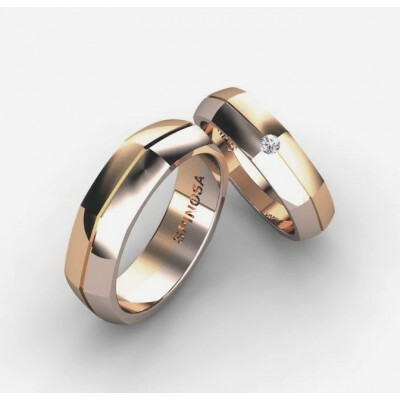 This ring can serve perfectly as engagement rings or wedding rings. 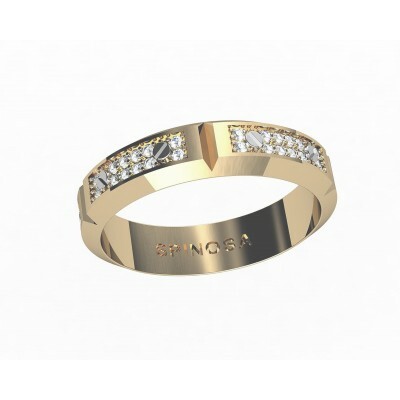 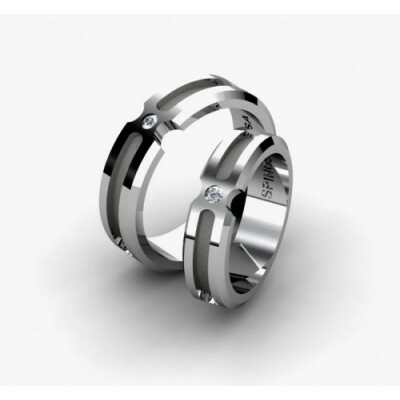 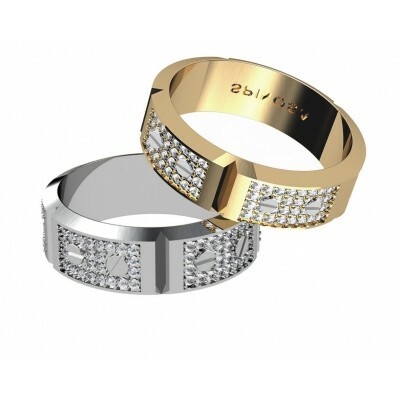 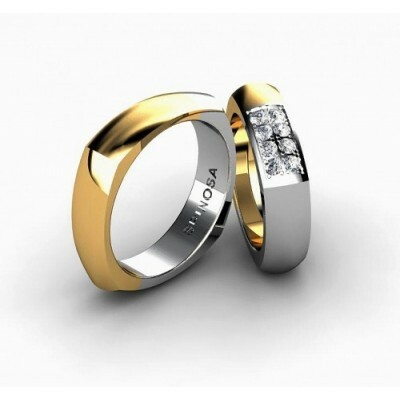 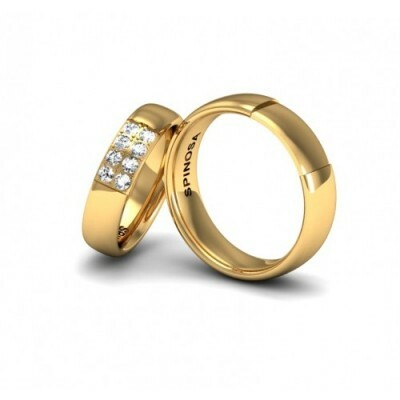 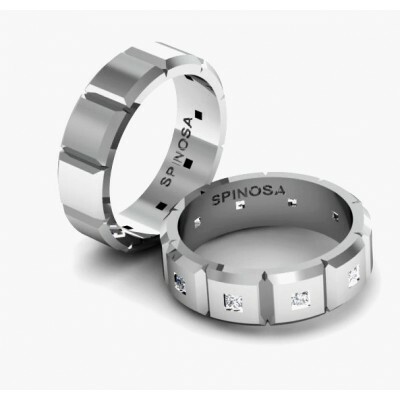 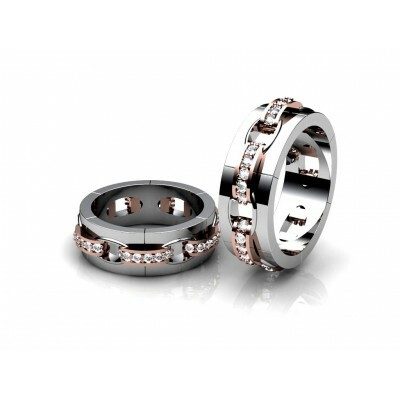 The rings are made of 18K gold and have a central diamond that is held in place securely by 4 claws. 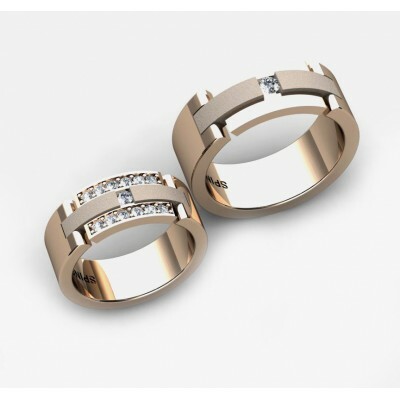 On both sides, you will see 2 brilliants 2.50mm in size and there is an "X" form covered with brilliants too. 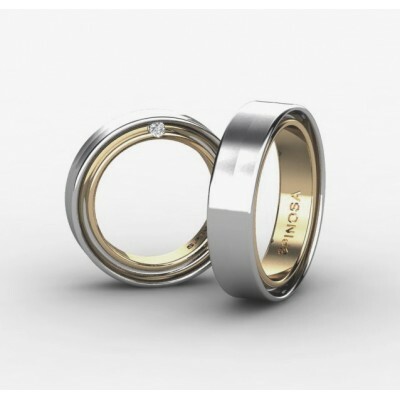 On its edges, you will see more brilliants 1.75mm in size. 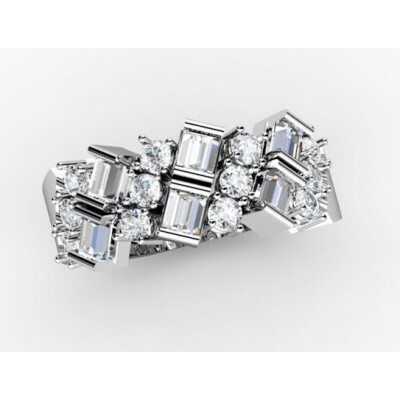 Overall, there are 84 brilliants with a total of 1.25ct H-VS.